Please see the MMD Tutorials listing in the center column for LearnMMD’s MikuMikuDance MMD Tutorials. See our Download MikuMikuDance PAGE that has links and Troubleshooting. MikuMikuDance is so interesting and so complicated! New MMDers deal with learning the skills of creating 3D Animation! How to Make Music Videos – Easy for Beginners! MME Effects: See the Categories in the center column of this page! Use the SEARCH WINDOW to locate blog articles. Visit the DOWNLOADS page for helpful bits. Visit the BONUS PAGES section to see MORE Fun Stuff! See the Reggie Replies Q&A page where Reggie Replies with answers to some direct questions. Make an MMD Model almost from scratch! Strides Walking Motion method moves the Center Bone first. Easy Walking Method builds a walk step by step. Does the motherbone have the correct Japanese name? … in English, you can name it what you like, but its Japanese name must be 全ての親 or MMD will not recognize that bone. 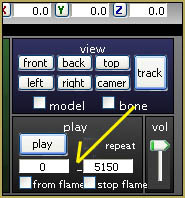 Did you set start and stop frame numbers in the Play panel (gray)? Use Bandizip to unpack your archives. Hello :) I Have one big problem the pmd/x editor doesn’t work ;-; I download everything .Why it doesn’t works? ~_^ “Download” or “download and install”? Check in Control Panel’s Programs and Features: do you see *there* both MS Visual C++ Redistributable packages and MS .NET Framework you’re supposed to have? All You Have To Do Is Open The File Extract It Then Push ‘READ ME’ The Download The Things In The Then Try To Open It Again. It Should Work That’s How I Opened Mine.